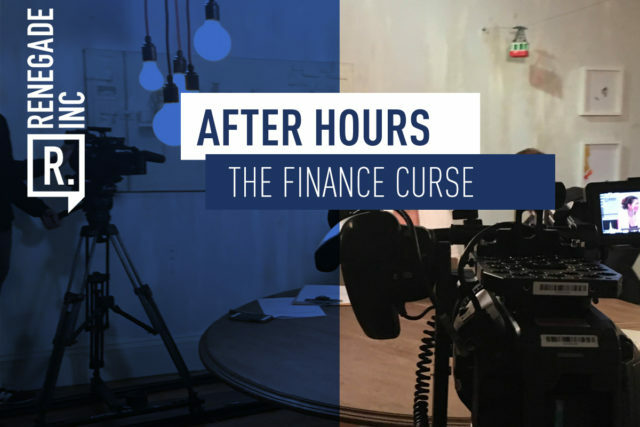 Stewart Cowley is one of the few people who has worked on Wall Street, The City and in the Fund Management Business who says openly the problem with the finance industry is they don’t understand the word ‘enough’. His admission is refreshing. After 30 years of finance experience, Stewart’s view is that the industry has lost all sight of measure. So, time and time again they’ll take a good idea and then work it until they break it. Then repeat over and over again from dot com to housing to CDO’s to sub prime auto. Perhaps it was Stewart’s unconventional path into the industry which gives him a unique perspective amongst his peers. Having started from literally sweeping the floors at British Steel at 16 he went, in 10 frenetic years, to becoming a fellow at Oxford University. His science doctorate trained him to think analytically using facts but after two bewildering years into working on Wall Street that the penny dropped… He realised the the last thing needed or wanted in finance was factual analysis. In fact the whole game was built on little more that opinion. With this penny drop moment…his career took off. A big advantage is having a greater understanding of the macro than The City and Wall Street. If you understand the set of rules that the game runs by and have the quickest access to information in the market you can pretty much guess what you need to do next. This is what Stewart had a knack for and how he ended up managing 7 billion pounds of assets. However, in 2008, as a result of the financial crisis, all the rules changed. Fund managers had to reassess their strategies while the next generation of mangers were living in an era of quantitative easing and market misinformation. In Stewart’s view this is the era we are still living in now – where there’s no price discovery and no real market mechanism. In economies which are much more sensitive to relatively small movements in interest rates, today everybody is leveraged again and private debt is on the rise. An obvious question is will we ever see financial assets deflate? We also ask Stewart if it is the failure of Central Bankers which has caused so much damage to the system? The most interesting thing for me in this interview is how he frames his own entry into the world of finance in terms of wanting to do it for his wife and child – his own greed (ie the real driver, if he were honest) is never mentioned as a factor. Pure altruism, it was – wanting to provide for wife and children. This you will find a common theme; few human beings will admit to greed – we’ve even renamed it (coupled with the partnering faculty of jealousy) ‘aspiration’ in order to side-step the thorny issue of still being able to get in Heaven after living a life of material excess and decadence (job done!). This is the first time I am hearing about the Renegades and therefore unable to say much without doing some more research. However I can see that the criticism by Martin Davey is more kind of criticism for the sake of criticism. To me it is irrelevant whether Cowley accepts being greedy or not. The important point is that he can point out the flaw in the system. The need is to change the system not the person. A chane in the latter will not be of any use to the society. I am not sure if this organisation still exists as the material here seem to be two years old.